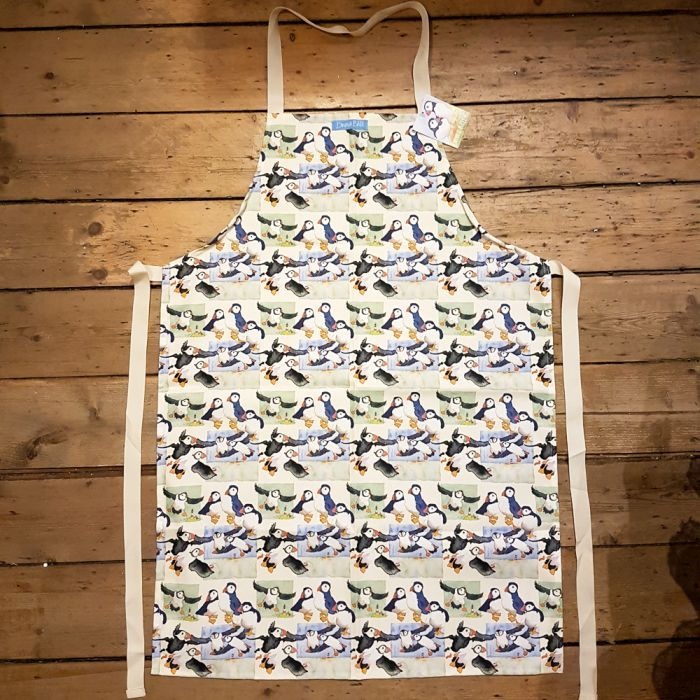 This apron by Emma Ball features lots of puffins and a selection of backgrounds on the front. Emma Ball lives in Nottinghamshire and all of her products are manufactured locally. Size: 89cm tall x 60cm wide. Machine washable.